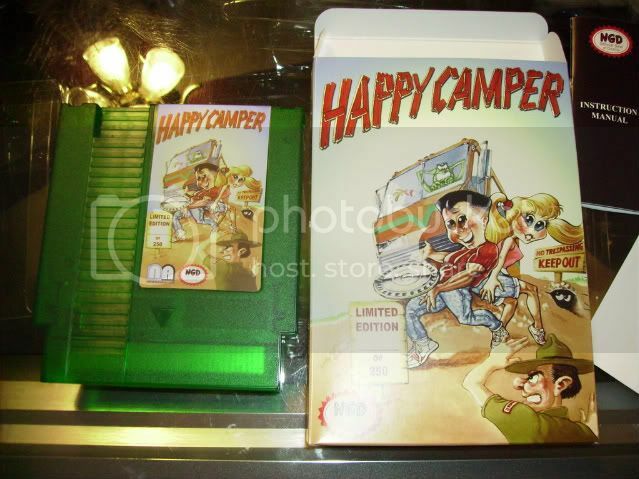 Lost Levels :: View topic - Happy Camper for NES Discovered Lost Levels - A website about unreleased video games. Happy Camper is on pre-order now if anyone wants to pick up a copy. LMK if anyone has any questions, be glad to answer. Hey, cool. I was just wondering when these were going to be ready. I've sent you payment for my pre-order. gotcha down Thanks a bunch. I was hoping a few peeps from here at LL would pick one up. gotcha down :) Thanks a bunch. I was hoping a few peeps from here at LL would pick one up. I think it turned out pretty well though. Has some neat pack in items as well. Looks really nice. I hope you don't take me not wanting a copy personally, I'm just not a "collector" and don't want any more crap taking up space in my house than I already do. Please do let us know if there is ever a download option, as I'm interested in playing the game. Someone actually sat down all day yesterday and beat the game!!! I am amazed cause it is soooo freaking hard.